I recently went on a whirlwind work trip (ie, barely 28 hours on the ground) to Washington, DC for a meeting at our headquarters’ office. We flew into DC on Wednesday evening and went to the Kellari Taverna for a wonderful dinner. 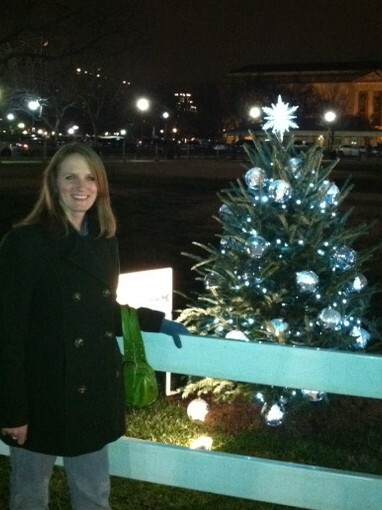 After the meal, several coworkers mentioned walking to the White House to see the National Christmas Tree. It was a short walk from the restaurant so I decided to go along with the group. It was a gorgeous evening, almost mild. Crazy to be walking around Washington, DC in mid-December with such mild temperatures and no snow! It was actually very enjoyable. As we approached the White House, we could see decorated Christmas trees in various windows. 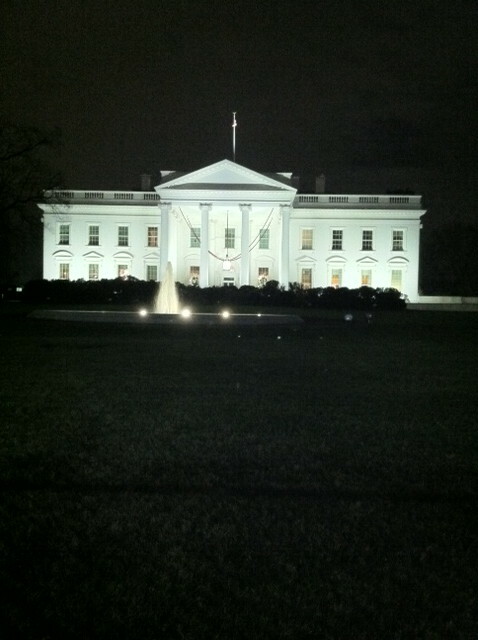 I’ve only seen the White House during the day so it was pretty viewing in the evening. I love looking at the White House, especially in person. There is something about the building – the beautiful architecture, knowing it’s our country’s capitol and a symbol of patriotism for the American people. You also have a bit of respect for the power surrounding it, especially with the multiple police officers and rooftop snipers patrolling! together local and national communities to celebrate peace and the holiday season. What a lovely idea! I admit I thought the tree would be larger, more breathtaking. Granted, if you step back and appreciate the lit tree in the midst of national monuments, you can appreciate the big picture. But I kind of think our big Christmas tree standing in our living room creates more of a traditional, warm feeling. What is cool is that there is a tree from every state, District of Columbia and the five territories surrounding the National Christmas Tree. These 56 decorated trees are smaller and create a circular path called the “Pathway of Peace.” Since 1954, the Pathway of Peace trees have been sponsored by various organizations from each state. 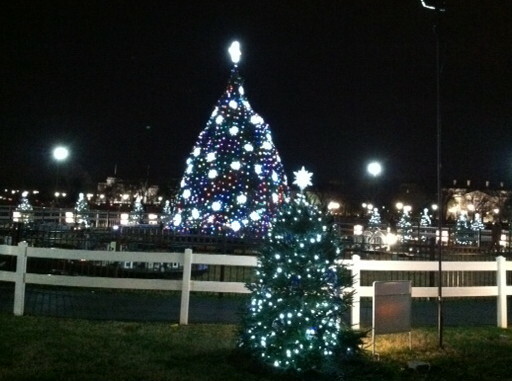 Every December, there is a tree lighting ceremony for the National Christmas Tree. The President attends, as do entertainers and a military band. The National Christmas Tree and lighting ceremony is actually maintained by the National Park Service. Despite my initial reaction to the tree, I still appreciated the moment. I was inspired and proud to stand with other Americans as we wandered through the trees, national monuments in my vision. I am not always pleased with decisions (or lack of decisions) made in DC by people in many of these buildings. But there is no doubt I’m proud to be an American and happy to see the beauty that the holiday season brings to people.